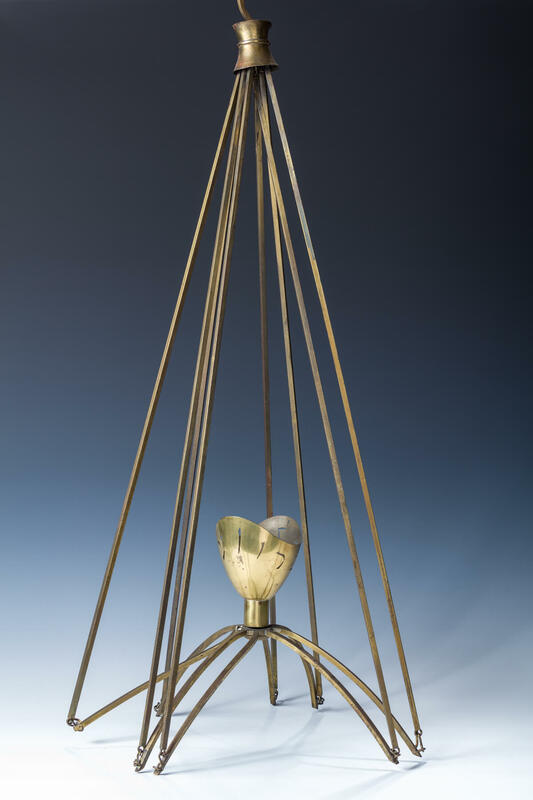 In 1957, Ludwig Wolpert was commissioned by the Stillman family to create this lamp for their Memorial Chapel (funeral home). At that time he was a sculptor in the Jewish Museum. 32” long. Hanging rod 32” long. With original design paperwork. The light remained in the possession of the family until this time. Sold by the Stillman family.